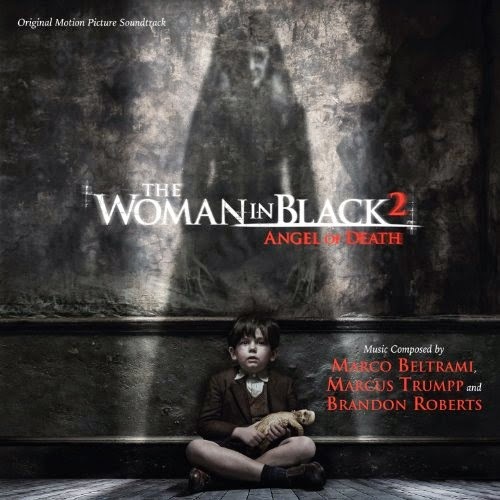 Music by by Marco Beltrami, Marcus Trumpp and Brandon Roberts. As bombs rain down on London during the Blitz of World War II, a group of school children are evacuated with Eve, their young and beautiful schoolteacher, to the safety of the English countryside. Taken to an old and empty estate, cut-off by a causeway from the mainland, they are left at Eel Marsh House. One by one the children begin acting strangely and Eve, with the help of local military commander Harry, discovers that the group has awoken a dark force even more terrifying and evil than the city’s air raids. Eve must now confront her own demons to save the children and escape the wrath of The Woman in Black. The movie soundtrack of The Woman in Black 2 Angel of Death will be released on January 6, 2015 by Varese Sarabande.